Buy North 70 front door at a bargain price from Novo Porte at TheDoorsDepot, the online shop offering North 70 entry door in the USA. 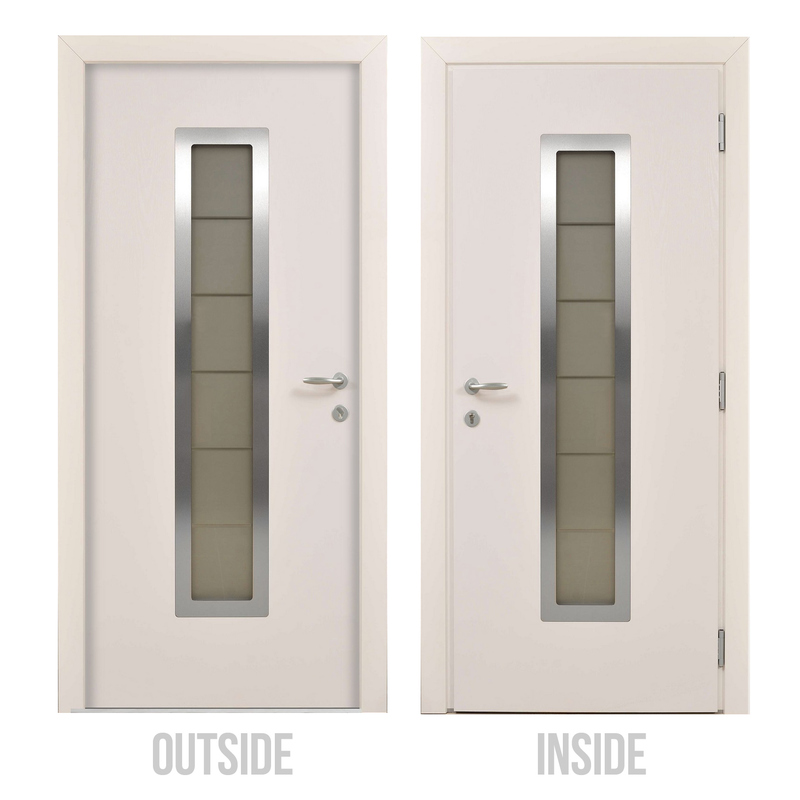 Made according with the latest innovative methods and special proprietary developments this door features ultra durable construction crafted with use of laminated sheets of galvanized steel. 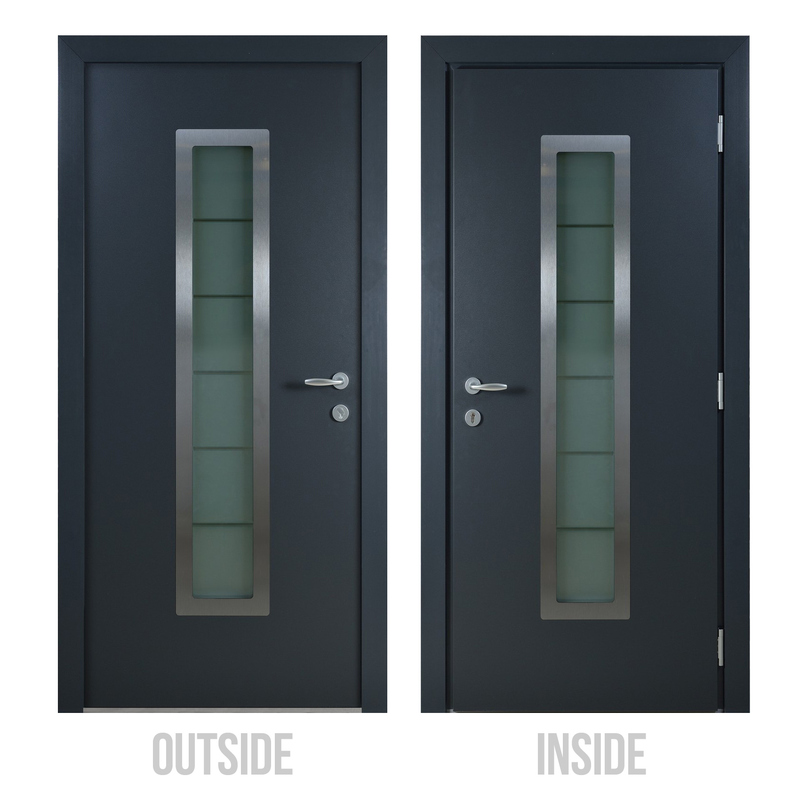 Made according to with the latest innovative methods and special proprietary developments this door features ultra-durable construction crafted with use of laminated sheets of galvanized steel. 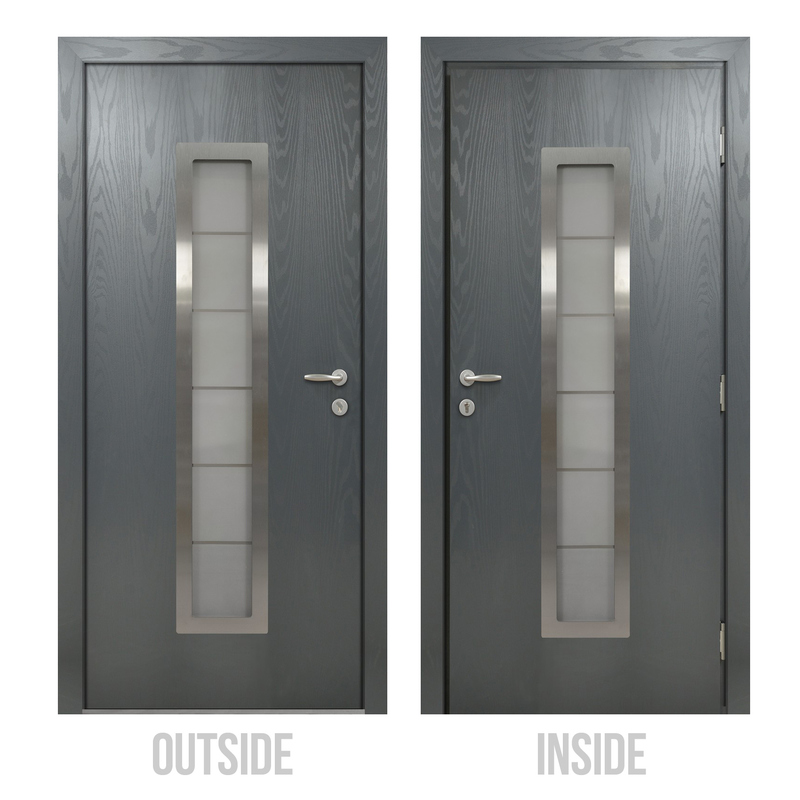 Durable and practical front door has a protective covering which showcasing imitation of valuable species of wood. 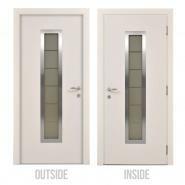 Also, this door is equipped with reliable locking mechanism and Swiss made hinges with 3D-regulation protect the home from unauthorized entry. 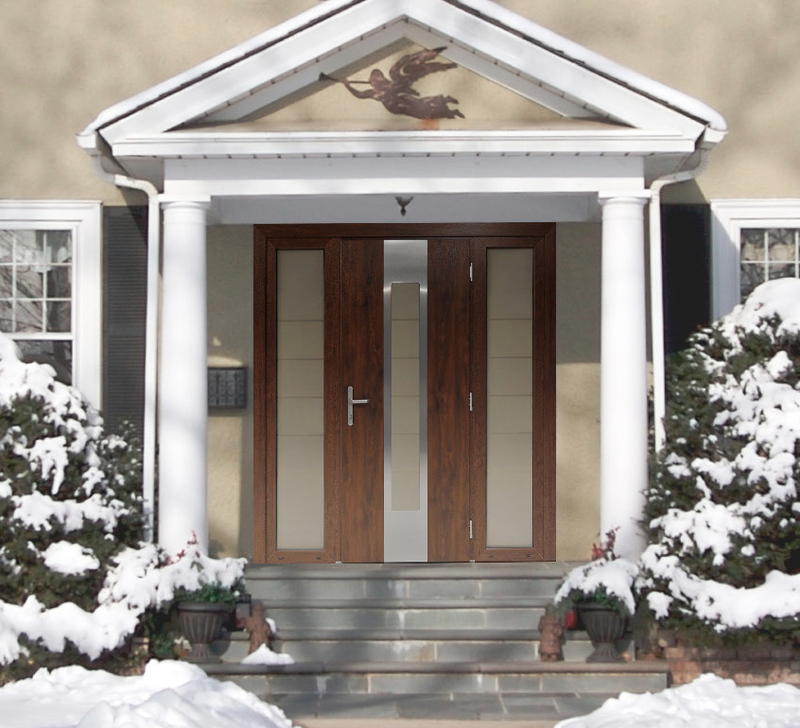 Welcoming and cozy appearance of North Front Door from Sever Collection given by decorative fiberglass insertion on the center. The glass features protection from UV rays. PVC profile used while making water resistant door frame ensures protection from cold and does not freeze even in extreme cold. 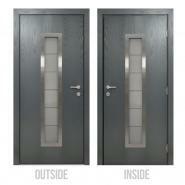 The multi-point lock guarantees uniform clamping of the door to the door box over the entire height. Be sure that the garbage from outside will not come into your home due to special brush seal that ensures tightness of bottom. 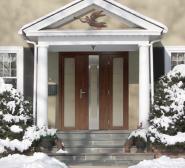 I worked with this store a few years ago and was very satisfied with characteristics and design of the front doors. To date, I am using this door and pleasuring its quality. Consultants were very helpful to choose the appropriate door that would suit my entry. Modern embodiment of stylish merchandise. I like this door and how it looks in real life. Sleek color, glass insert, and metal design - everything is perfect! We installed this door a 3 weeks ago. I am just questioning how the only one thing(door) can liven up the whole exterior?! I must say this was a highly professional work. I would recommend going to this store when you choose a new door. It is good value for every dollar you'll spend. 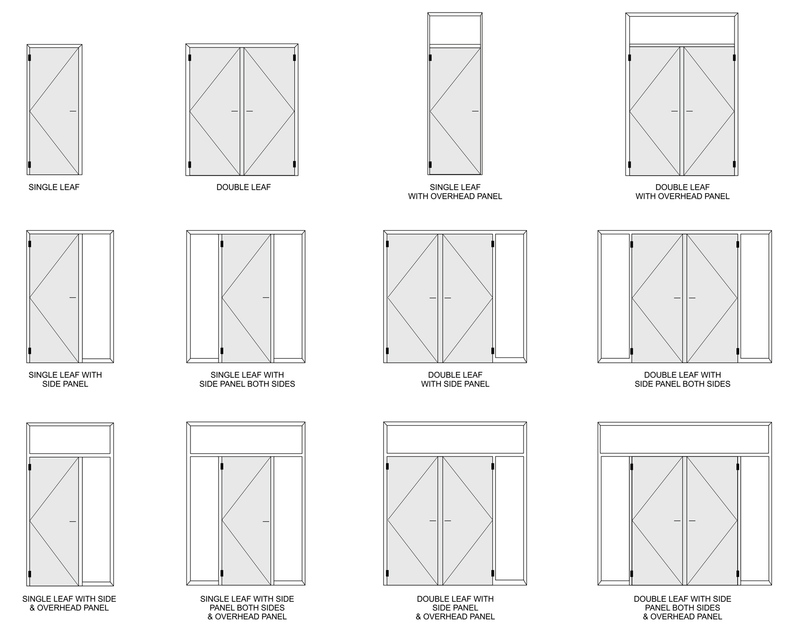 There are so many various and fashionable doors to choose from… The sales staff was so helpful) they went show us different options within the price range we mentioned. Finally we got exactly what suited best for our home.